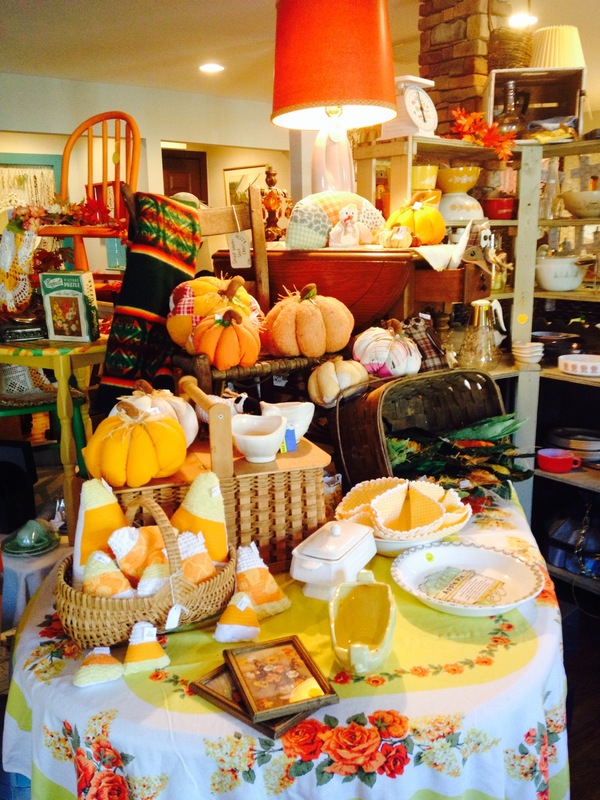 We are totally in our new space at 178 Weaverville Rd, just up the street from our old location. More space, more parking, handicapped parking…, and no steps. So excited to share our shop and holidays with you. Drop in soon to see what’s new. 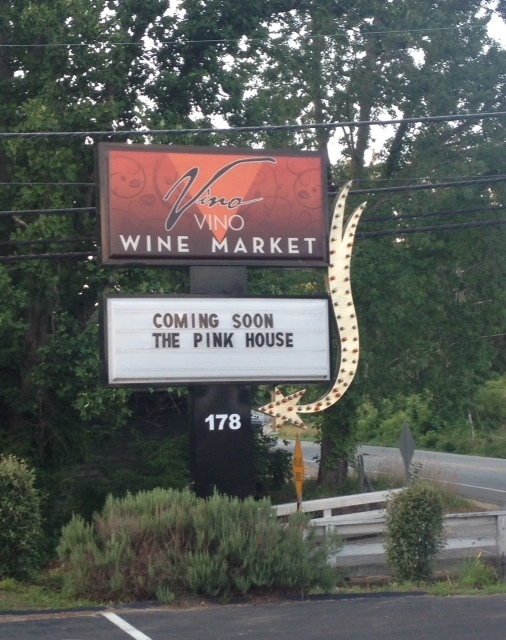 The Pink House is moving! We are currently at our original location, but have started painting and “charming” the new location. When we get closer to the move, we will announce the date! 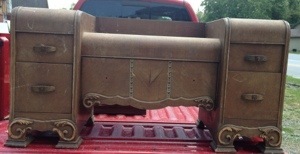 While preparing this old door for a new life as a table this sweet carving was revealed. 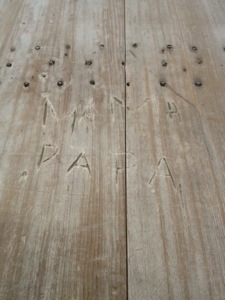 I imagine a little boy with his first pocket knife carving out Mama and Papa. Just wondering if he got in trouble when it was discovered. Often times people wander into The Pink House and say how much the shop reminds them of grandmas house. 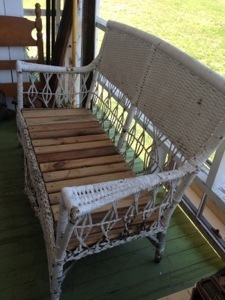 The vintage surroundings are comfortable and friendly and feel quite homey. The house wonders in a circle and you are free to roam in all the rooms. This week the living room features a Victorian sofa flanked on either side by tables that were created by converting a vanity. 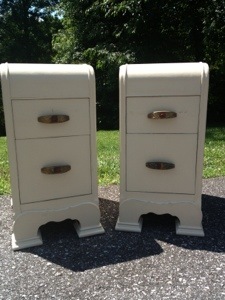 They are painted with chalk paint (R) by Annie Sloan in a custom mix of pink – using Old White and Emperors Silk. Lately when I want to take a picture with my iphone I have to delete pictures to take pictures because I have tooooo much media in the memory of my phone. 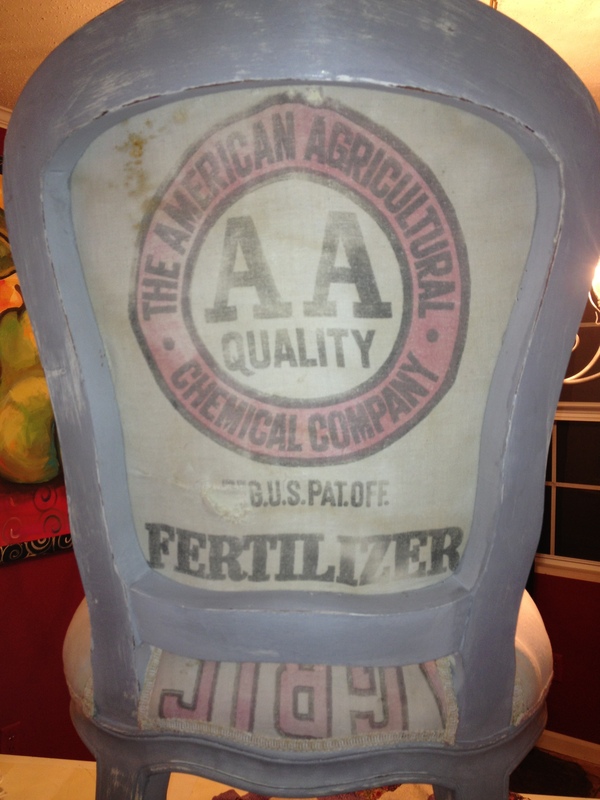 So, I finally downloaded all of the pictures to the computer….when going down memory lane on the computer I realized there are really lots of projects chronicled that you might like to see…. 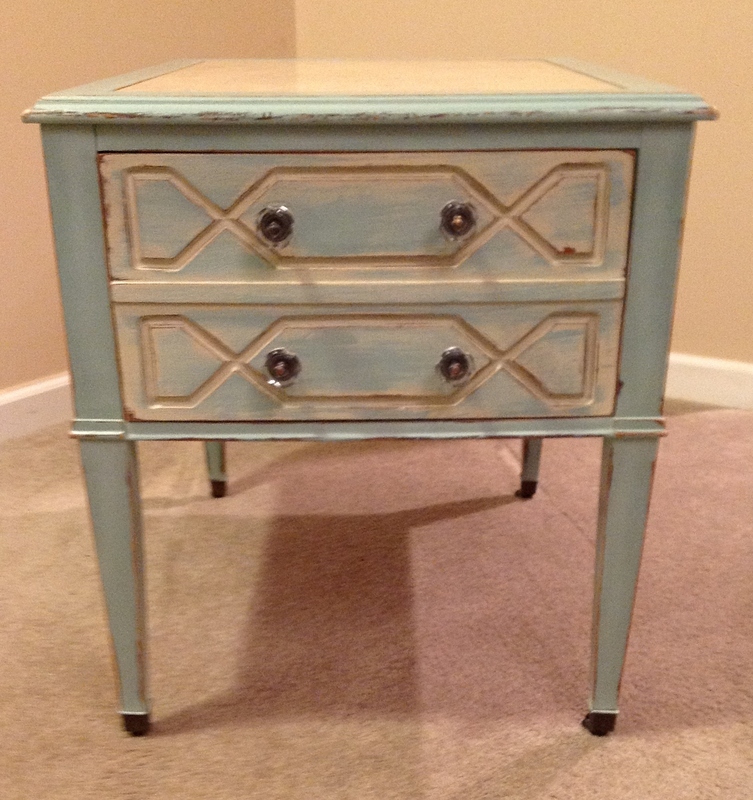 This project is one that I did for a customer/friend from The Pink House. 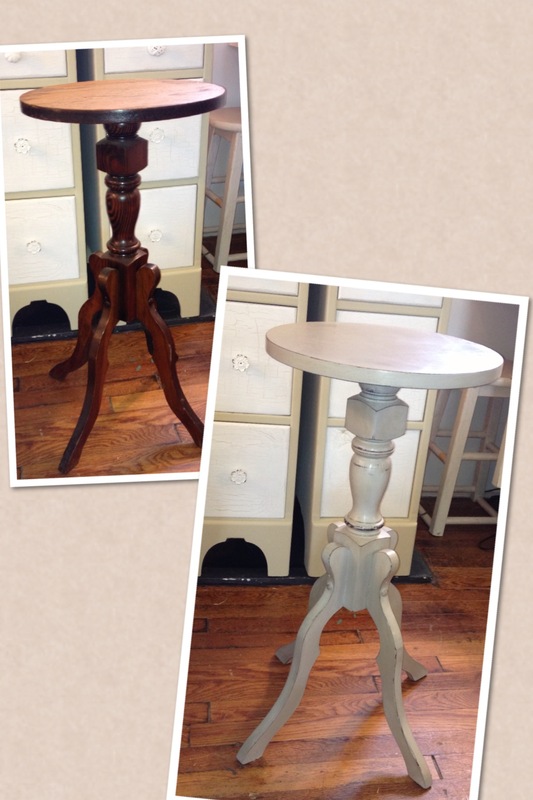 As a stockist for Chalk Paint® we have the pleasure of meeting lots of new customers who become friends. Diane took one of my very first “Bing your own Piece” workshops. 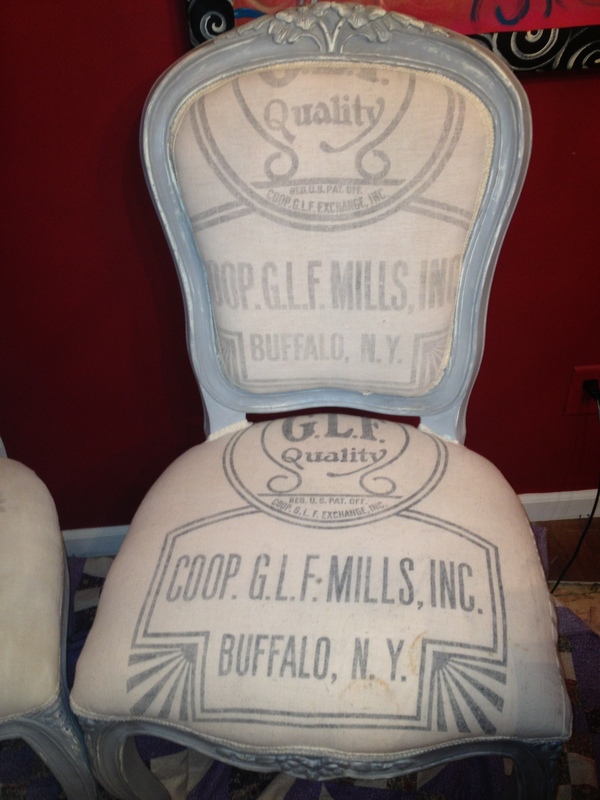 I think I can speak for Diane and say her favorite colors are Old White and Paris Grey….., she loves Louis Blue too….. She came across some really Frenchy looking chairs – painted them with Chalk Paint® and brought them to me…. 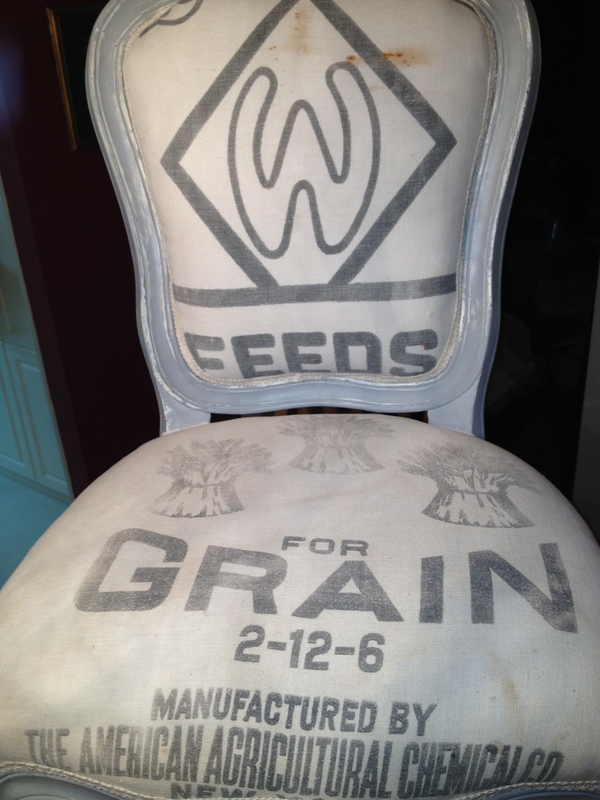 Diane had several grain sacks and she asked me to upholster them onto her project….. I like how they turned out….. and so did Diane…. 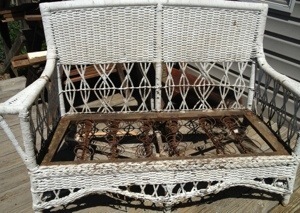 Transform tired worn out pieces into timeless treasures! 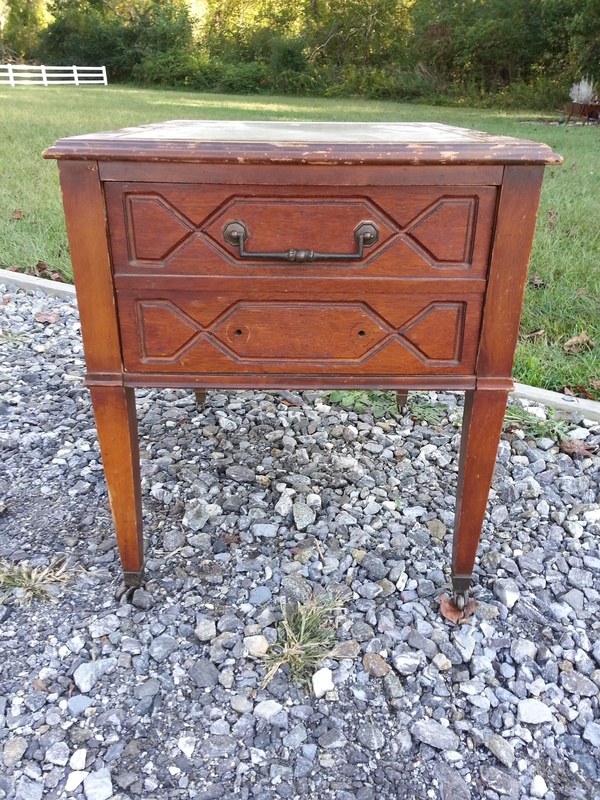 When we find things that seem like trash – but really are still structurally good it is hard to walk away. It seems like they still have something to offer. 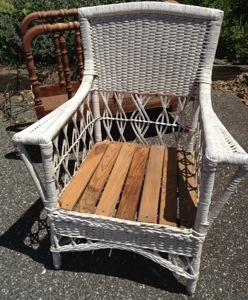 Recently we found a wicker sofa and chair. The springs were still in the bottom.., but took my upholstery projects are currently on my plate, so that was not an option.